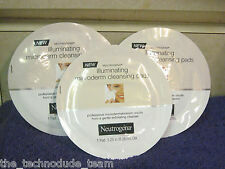 Lot of 5 Neutrogena Illuminating Microderm Cleansing Pads. Hard to Find. Rare!! New Sealed Rodan and Fields Micro-Dermabrasion Paste 4.2 fl oz. Protect your expensive microdermabrasion machine with this extra layer of filter. PMD Personal Microderm Device - AUTHENTIC SOLD BY MANUFACTURER. Suction increases circulation and triggers the skin’s natural healing process which boosts collagen and elastin leaving skin firm, fresh and radiant. Mary Kay Timewise Microdermabrasion Plus Set ~Refine & Pore Minimizer New. Condition is New. Shipped with USPS First Class Package. NEW Rodan and Fields ENHANCEMENTS MicroDermabrasion Paste Jar 4.2oz. Condition is New. Shipped with USPS First Class Package. Condition is New in box. These filters fit Trophy Skin devices - RejuvadermMD,MicrodermMD, and MiniMD. It is important to replace filter after each use to protect the motor in your device. RejuvadermMD/MicrodermMD/MiniMD Microdermabrasion. 5kg of Best quality grade A microdermabrasion crystals, suitable for all refillable machines. Made in UK. Excellent flow properties, and angular grain shape for optimum skin dermabrasion. Very high purity, with a minimum aluminium oxide content of 99.7%. Electric Blackhead Remover Vacuum Suction Facial Pore Cleaner Acne Pimple Extractor Skin Care Cleaning Tool with 4 Suction Head. Multi-Functional Blackhead Remover: The blackhead vacuum has 4 interchangeable probes. Neutrogena Microdermabrasion System 24 Puffs Refill. Microdermabrasion applicator. So easy and convenient to use. Beauty Bioscience Beautybio Glopro Body Roller Microtip Attachment Head. Condition is New. Shipped with USPS First Class Package. Electric Facial Pore Cleaner Blackhead Vacuum Suction Remover. 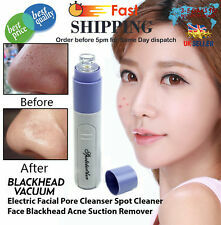 1 x Electric Facial Pore Cleaner Blackhead Vacuum Suction Remover. Help to cleanse pore, remove acne, blackheads, whiteheads, cutin, dead skin, and reduce wrinkles for all skin types conveniently. Neutrogena Microdermabrasion System. The puffs can also be used withthe Neutrogena Healthy Skin Rejuvenator. GLOPRO MICROSTIMULATION FACAL TOOL. MICROSTIMULATION FACIAL TOOL KIT. BEAUTY BIOSCIENCE. FACTORY SEALED . THIS KIT DOES NOT INCLUDE THE SERUM . INSTRUCTION MANUAL. New in box and sealed. Reveal smooth skin and improve the appearance of uneven skin tone with this oil-free, micro-dermabrasion exfoliator. A body and face scrub, it sloughs away dulling, dead skin cells and encourages younger, more vibrant cells to surface for brighter, smoother-looking skin after just one use. LED red light therapy function and Vibrotactile Stimulation work synergistically to enhance regenerative skin benefits. Cells exposed to LED light grow an overwhelmingly 150 to 200 percent faster than unstimulated cells.
."MICROBLADING STYLIST/IN". 11 Zertifikate . Unsere Zertifikate werden auf hochwertigem. Microneedling - Microdermabrasion. Unsere Kursinhalte sind ausschließlich für den Präventivbereich. Sie lernen bequem von zu Hause in Eigendisziplin. You will receive the following Mary Kay item. We are not affiliated with, nor endorsed by Mary Kay Inc. We liquidate products from prior consultants. Most of Mary Kay products are not factory sealed. These are not after market needles ! Good used condition. Clean. Very little use. Complete. Lots of extra filters. Some water marks on case. Diamond Dermabrasion Functions Diamond Dermabrasion Machine X 1. Double filtration device, easy to clean, prevent the obstruction into the interior of the machine effectively. Suitable for different kinds of the skins, also sensitive skin. Our Products: Most of our product is resold from various locations in the Denver area. We believe in transparency and point out flaws at every opportunity. NU BRILLIANCE MY FLEXIBLE MIROIR 2503FEY. The tip of the blade concentrates the ultrasonic vibrations to give a targeted deep cleanse. 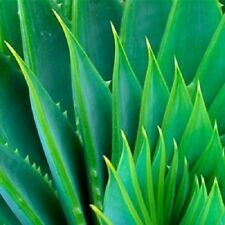 You will see a fine spray of water droplets and dead skin cells being collected on the end of the blade. The serum will gradually be pumped deep into the skin. (5). 06 oz. Designed to help clean and prepare skin prior to using the GloPRO Tool. Formulated with a proprietary peptide How to Use GloPRO Tool. Use moderate pressure to roll GloPRO on the skin. GloPRO should be used for at least 1 to 3 minutes. Rodan Fields Enhancements Micro-Dermabrasion Paste 5 Sample Packets. STEP 1 REFINE. THIS IS A VERY VERY GOOD MARY KAY PRODUCT. STEP 2 REPLENISH. SEE MY OTHER ITEM IN MY LIST. 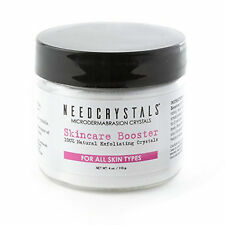 1.5kg of Best quality grade A microdermabrasion crystals,suitable for all refillable machines. Made in UK. Excellent flow properties, and angular grain shape for optimum skin dermabrasion.Very high purity, with a minimum aluminium oxide content of 99.7%. / 29 ml New In Box. inventory # 27.